Leader of the Opposition Jeremy Hanson has lashed out at Health Minister Simon Corbell after new revelations that Canberra’s hospitals are underperforming compared with hospitals in other jurisdictions. A National Health Performance Authority reported that only 60 per cent of Canberrans who visit the ACT’s emergency departments manage to access a doctor within the recommended four-hour time period. On local radio station 2CC, Hanson accused Corbell of having no sincere interest in the health portfolio. “At least Katy [Gallagher] had a genuine interest in health, but Simon Corbell has ended up with the portfolio by default,” he said. 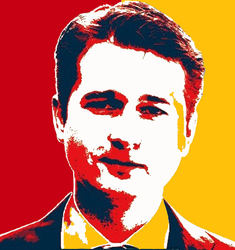 When Hanson was asked what he would do if he was in government, he responded by saying that he would institute cultural change, a focus on patients, and increase the number of hospital beds. Hanson also noted that 30 per cent of “our beds” are taken up by NSW patients. Shane Rattenbury has defended the ACT Government’s decision to award a grass maintenance contract to an interstate company. CityWide, a company owned by the Melbourne City Council, has taken the place of local small business operator Jeffery Flew who has had to cease his operations as a result of the decision. “I’ve had to fold up. We used to take pride in our work,” he said. Rattenbury maintains that the decision is the right one for Canberrans, saying that the Victorian company can offer the same service for nearly half the price of any other contractors. But Shadow Minister for Small Business Andrew Wall has weighed in, arguing that the ACT Government should give preference to local jobs instead of giving contracts to interstate companies. Rattenbury has claimed that the company will employ local ACT workers. 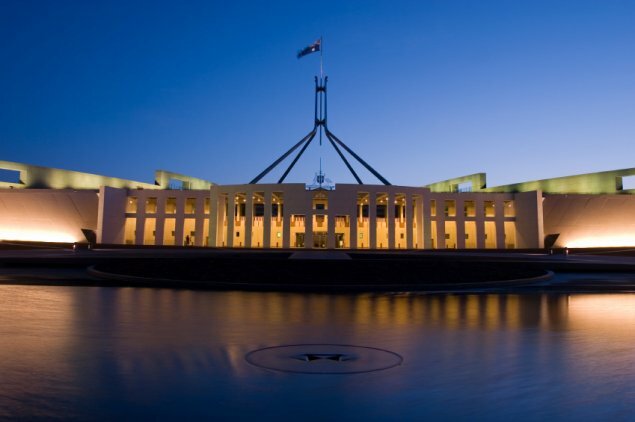 This week it was confirmed that the ACT will be the first jurisdiction in Australia to sign up to the federal government’s asset recycling payment scheme. Under the scheme, the federal government will pay an extra 15 per cent on top of the sale price to states and territories that sell public assets on the condition that the proceeds are invested in new infrastructure projects. Everything is on the table, and the Property Council of Australia has given its support to the ACT Government’s plans. Chief Minister Andrew Barr has proposed selling street lights, office buildings, government land and the Northbourne Avenue visitor information centre. Luckily for the Labor government, the people of the ACT don’t appear as concerned about public asset sales as Queenslanders. Many Labor supporters would be scratching their heads right now wondering why federal Labor is not inflaming the leadership speculation currently engulfing the federal government. I mean, it would only be fair, right? The answer… a Prime minister in Malcolm Turnbull would ensure that Labor would most certainly lose the next federal election. Oh and rommeldog not having a go at you, you’re absolutely right. Thanks. Certainly no offence taken. I agree – cheapest price rather than value for money/bang for Ratepayers buck is most common – despite what the tender documents say. At the end of the day, it all comes down to the available cash budget I’m afraid. Grass Cutting : Having undertaken tenders and reviewed evaluation reports for over 15 years, if the winning bid was 50% lower than the others, then there is very clearly something wrong that needs investigation so the buyer knows what they are buying. Maybe its mowing frequency, maybe its quality, maybe its the rate of pay to employees. Whatever, you dont get the same service for nearly 50% less. I wonder if the ACT Gov’t did a “post offer negotiation” to afford the local contractors the opportunity to reduce their quality, frequency of mowing, etc to that of the Victorian company. Or is Melbourne City Council somehow subsidising Citywide in some was to make them so competitive and create an uneven playing field ? I simply can not believe that it was nearly 50% cheaper…….. This makes me laugh. As someone who has written many tender responses for government work (from tiny jobs through to working on a bid team for a mega-project), price is still far and away the greatest factor for goverment. In the IT business there’s a saying about Canberra: “best value means cheapest”. Yes, I agree with your comments. It’s completely implausible that a Melbourne company is capable of doing the same job for half the price of any ACT business. Obviously not every operation in the ACT applied for the tender, but I’m sure the community would prefer to see a local business be engaged by the government. To my understanding the company that won the tender has been previously engaged by the government but was later disengaged because they jacked up prices thereafter. I’m a member of the community and I want the job done properly for the lowest price possible. I’m not interested in giving jobs to Canberrans for the sake of them being local if they are going to charge significantly more. I’ve seen first hand how local businesses charge governments and in many cases it’s extortionate. I would not be surprised if that’s how the previous operator was charging. Citywide are recent winners of the prestigious Green Flag award for projects they participated in in Sydney and Melbourne. There were accolades from warmists and econuts who are also involved with The Greens. A 50% difference in tender price can also mean there is a bit of price fixing going on. I mean, how do we know that the other tenders were not inflated? The tram cartels are expert in this way of doing business. But the chairman of the winning company is a Victorian ex-Labor Premier with links to a major sponsor of a Canberra based football team and a superannuation fund that has investments in Canberra. You could almost call him a Canberran.